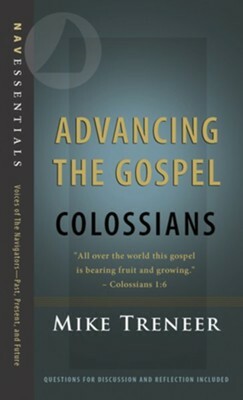 Written by Mike Treneer, international president of The Navigators, this study of the book of Colossians will challenge you to consider the apostle Pauls method of advancing the gospel: through laborers spreading the message. Practical in nature and heartfelt in its presentation, this book will equip you and your small group to move Christs message forward in your local area of ministry. I'm the author/artist and I want to review Advancing the Gospel: Colossians - eBook.